Our Partner Spotlight highlights the work of our partner charity organizations that serve the community year round. This week, the spotlight is on the Child Development Association (CDA) of Roswell, GA. The CDA was founded in 1967 by local citizens who identified a need for quality care for the children of economically disadvantaged, working parents. By 1969, the group was providing childcare to 13 kids at Roswell Presbyterian Church. In 1974, facing increased demand for space and services, a capital campaign was launched, and the CDA was able to raise the funds to construct a 33,000 square foot facility that it still occupies today near downtown Roswell. 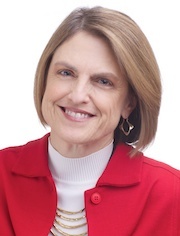 To learn more about the CDA, we spoke with Executive Director, Donna Smythe. Santas: Hi Donna. Tell us about the mission of the Child Development Association? Donna: Our mission is to enable the preschool children of low-income, working families in our community to make a great start toward a bright future by providing outstanding, nationally-accredited early care and learning programs. Santas: What are some of the challenges your kids and families face? Donna: Primarily economic challenges. We work with over 150 kids—ages 1 to 5 years—and they are bright and lively and full of promise. 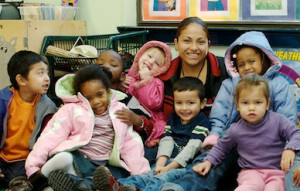 What makes these children extra special is that their parents cannot afford quality preschool. Our little ones come from low-income families who are working very hard to maintain employment and to provide an economically secure future for their families. Our median family income is $18,200, even though they work full-time. They often hold more than one job. The CDA offers big scholarships, but tuition is still 20-25% of their income, so our parents’ are making tangible sacrifices for their children’s education. Santas: Are your families generally excited about the holidays—or is it a source of stress because of the expectations? Donna: I’d say it’s a mix of both. Many of our families are only one doctor bill, or one car repair, or one winter utility bill from financial disaster. And then comes Christmas—with all its excitement and expectations. Kids and parents alike can’t help being excited about the holiday, but for the adults there is a huge undercurrent of worry and guilt. Santas: What does it mean for your families to receive a Christmas tree? Donna: It’s remarkable. Look, no one wants to disappoint a child at Christmas. I rarely hear parents express their concerns out loud, but their smiles speak louder than words when Christmas Tree Santas ties a Christmas tree on their car. Many of our parents are quite shy, and are humbled by the generosity of your organization, so you may have to read the appreciation in a shy gesture or teary eyes. But I see a lot of happiness emanating from our parking lot when you transform it into a Christmas tree lot. You’ve become a legend at the CDA. On behalf of our children and their families, thank you so very much. Santas: Thank you for all that you do. We’re equally appreciative and pleased to help you and your families.